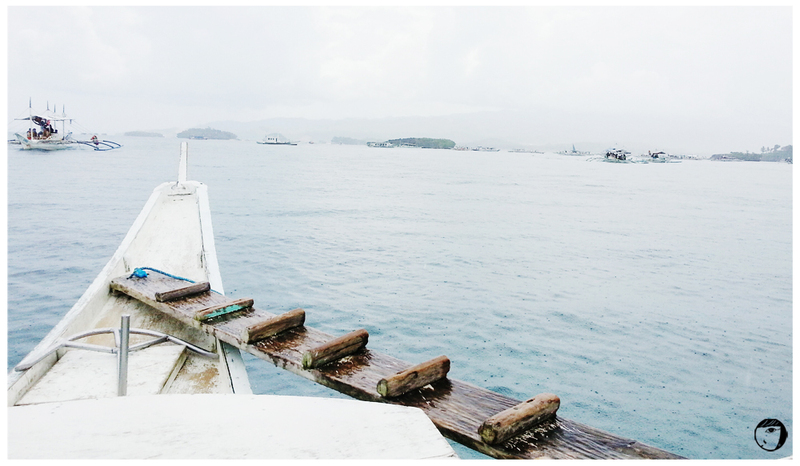 Boracay is about beaches and beaches are about water sports. Before we flew to Boracay, we searched around for some water sport packages in Singapore, but eventually we decided to get it at the island instead. I would recommend you to do the same. There were locals who will approach tourists offering different package deals along the White Beach. Water activities we could do were varied from island hopping, helmet diving, parasailing, snorkelling, flying fish, jet-skiing, scuba diving, cliff diving, etc. There were also land activities, such as ATV, sky-lining, zorbing, etc. The package we bought included boat transport, helmet diving, parasailing, snorkelling, fly fish and cliff diving. We were very contented with the package deal, so much cheaper than Bali’s. Our adventures began early in the morning. After having a hearty breakfast at Real Coffee, the travel guide fetched us. The first activity was the helmet diving. On our way to the jetty port, it poured so we need to wait until the rain stopped… Fortunately, the rain stopped after 30 minutes. And, here we go! 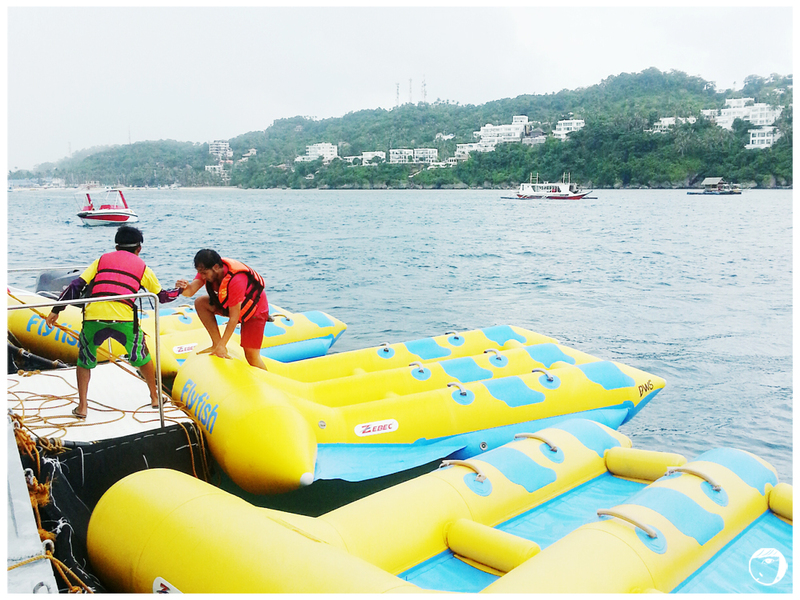 There were different stations for each water activity and we need to hop from each station by boat. Once we reached the helmet diving station, we were briefed by the instructor on the hand signals and the underwater precautions. The time limit underwater would be 15-20 minutes. I was pretty nervous as it was my first time being under the sea. But, all nervousness just went away once I was underwater. The water was clear with little fishes swimming around and I was able to touch the sea anemon. It was amazing! Still excited and amazed with the helmet diving session, we had to move on to the next activities : parasailing and flying fish. The weather was great, not too sunny and not too hot, thanks to the rain. 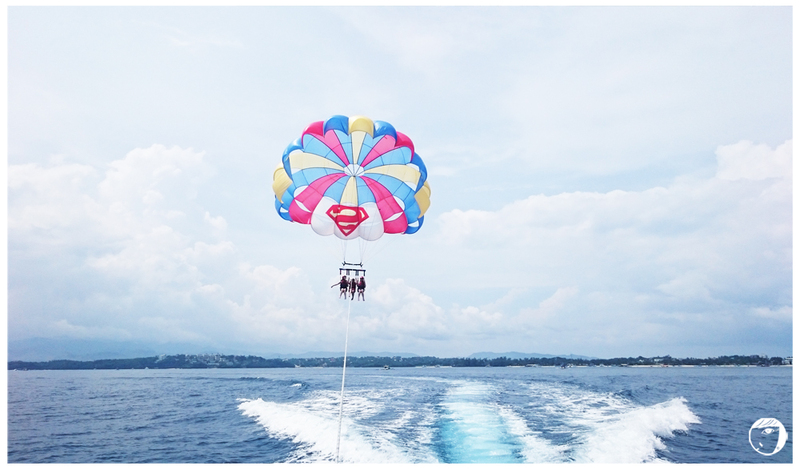 As a first timer in parasailing, I felt nervous too, but not as nervous as the helmet diving. I knew the idea of up in the sky is scary, but it is not as scary as what I thought before. On the other hand, it was addictive. The view from up above was breathtaking. I had my regret not bringing my neck pouch to put my phone for taking photos. Fly fish, it is not for the weakhearted. The sport is more extreme and more tiring than banana boat. I was fortunate to be seated in the middle. That spot was the most secured compared to the side or back seats. The ride was merciless and there were big chances for falling to the water if we did not hold to the handles firmly. My friends who sit at the side almost fell to the sea. We need to be aware of injuries too. After all, it was a great experience to try and I’m not sure if there will be a second time for me. Moving on to our next activity, we hopped on the boat again and headed to the Magic Island for cliff-diving. 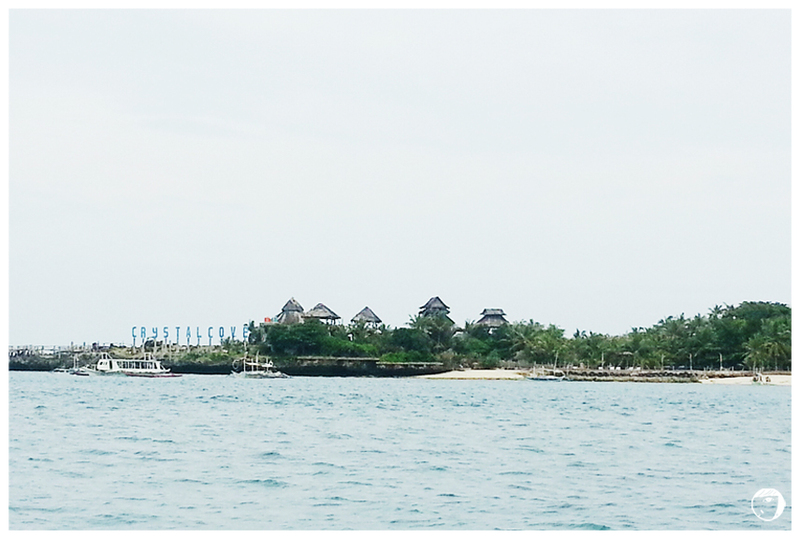 On our way, we saw Crystal Cove, one of the main stops of the island hopping tours. We did not take the option, maybe next time. For cliff diving, the station was at the Magic Island. Only a friend of mine wanted to jump, my another friend and I just waited on the shores, picking shells. 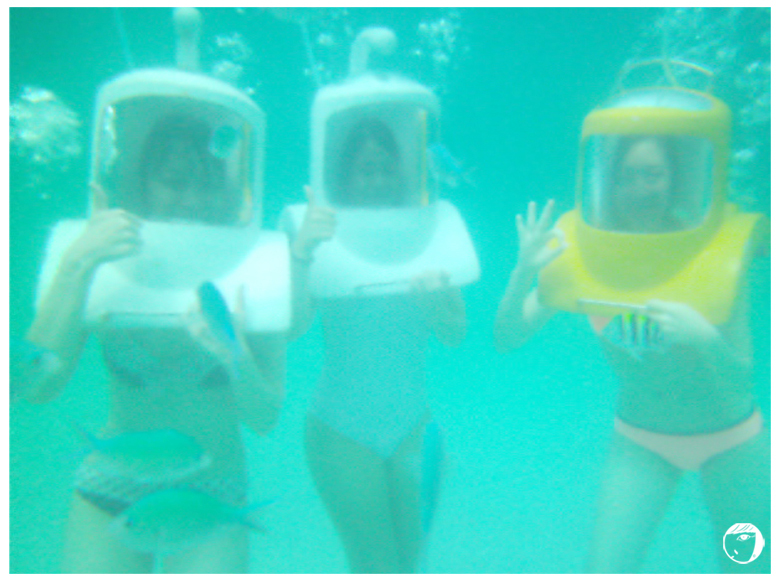 Our last water activity was snorkelling. The station was not too far from the Magic Island. But the water was clear and we could see the corals, fishes and even spotted a seahorse! I will not forget the whole experience and keep in my heart. I had a few ‘first time experience’s in Boracay from the addictive helmet diving, breathtaking parasailing, fun but exhausting fly fish, challenging cliff-diving, and relaxing snorkelling. All were worthed.